Today’s global value chains are vast by nature and spread across many diverse business activities and categories, local and international standards, labels and norms and geographic, regulatory and economic conditions. With 50 to 70 percent of a company’s revenue going into the value chain, many leaders are wondering what an effective sustainable procurement program should look like in practice and what it takes to get there. These are great questions that don’t have cookie-cutter responses. The answers will look different depending on the organization and its sustainability goals, business model, supply chain structure and internal resources. That said, there are a few generally consistent characteristics of effective sustainability initiatives to help make some sense of what constitutes superior performance. 1. Executive commitment leads the way. Collaborating with stakeholders is vital for sustainable procurement and the executive leadership team is no exception to that rule. It’s impossible to get any initiative across the finish line without executive buy-in and support, and this is especially true for sustainable procurement programs that require designated budget and internal resources. Given that many business considerations—brand reputation, financial returns, corporate strategy—touch sustainability, the executive team and board should be incentivized to adopt sustainable procurement and offer support where needed. Success starts with procurement managers communicating the business benefits of a responsible procurement program and articulating what the team needs from management so they can truly help. This support could take the form of additional internal resources, stronger talent or training, a larger budget or support with tracking mechanisms. If supply chain and procurement don’t communicate to executives the business returns and what is needed for a sustainable procurement program, it’s incredibly hard to receive the support required to get the ball rolling. 2. A lasting effect: program engagement. Driving internal and external engagement and alignment is critical when rolling out global sustainable procurement programs. 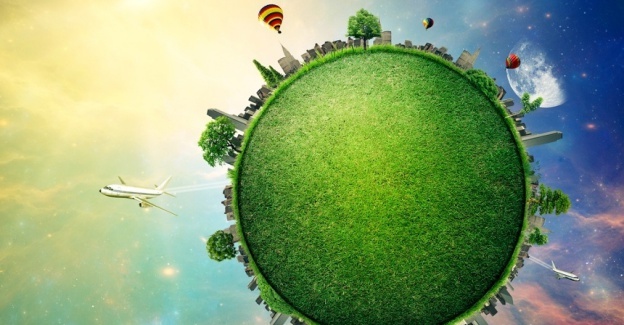 The best thing sustainability program leaders can do is build consensus among relevant parties for the new sustainability plans and policies from the outset. Engaging and collaborating with all stakeholders, making sure they understand: the importance of what you’re doing; what they need to do to help the team get there; and what success looks like in terms of metrics and desired outcomes, goes a long way. This is true for everyone, including the leadership team, investors, employees, partners, suppliers and suppliers’ suppliers. Change only happens—and lasts—when everyone is pulling in the same direction. 3. Strong supplier policy frameworks ensure alignment. Robust sustainability policies, supplier codes of conduct and CSR clauses written into supplier contracts are great first steps in a sustainability journey, but the real change happens elsewhere. Bombarding suppliers with questionnaires, audits and other monitoring mechanisms is reactionary, defensive and time-consuming—none of which bodes well when trying to motivate and encourage these partners to aid in the change management process. When working with suppliers it’s important to communicate the shared value that will be created by following sustainable practices. Make corporate values, and what compliance with those values looks like, very clear. An educated supplier base clear on rules and objectives is better prepared to use their own voice to ensure fair practices and make procurement’s job of managing risk and ensuring responsible sourcing easier in the long-run. 4. Avoiding silos, prioritizing performance indicators. Modern supply chains are filled with risk at every turn, stemming from non-compliance, supply chain disruptions, market volatility and brand value loss. Each of these threats may seem to originate from various departments within the organization, but when it comes to fighting risk, responsibility should not be compartmentalized. A holistic approach is required to tackle supply chain and sustainability threats at the core. Making sure the suppliers you’re dependent on aren’t vulnerable to threats is the foundation for risk management. Conducting thorough supplier reviews that identify weak links and give procurement the information required to decide how to develop the suppliers into better performers, or remove them from the equation altogether, is a key component to an effective program. The second phase is providing the right training and best practices to make sure they stay the course. 5. Training programs and knowledge-sharing move the needle on value creation. Effective supplier and team engagement should be followed up with training and education that helps both parties innovate beyond compliance. Holistic implementation guides that offer overviews of core sustainability concepts, issues and needs; address the benefits of CSR practices; give steps for implementation; and make specific recommendations based on supplier size, location and sector are extremely helpful. Combining training with a rich scoring system that rewards top suppliers creates a solid method for measuring program results. After all, it’s hard to know if you’re making progress without a roadmap that shows what true success looks like for the organization. This level of education and measurement ensures suppliers are equipped in the right ways and are empowered to act on their own. Buying organizations can’t expect real progress unless they are giving their networks the right tools to make change happen—and since procurement teams can’t be in all places at once, having this type of written, targeted framework extends governance and influence across the value network to achieve mutual sustainability goals. 6. Collaboration increases scale and coverage. Industry collaboration is crucial for getting programs off the ground. Several consortiums have developed over the years (Railsponsible, Responsible Beauty Initiative and Together for Sustainability, to name a few) designed to create best practices, help overcome common roadblocks and initiate sustainable change within each sector. Buying organizations and suppliers should look to peers to see what methods have worked for others and decipher whether they can be adopted in their own supply chains. Collaborating with partners and even competitors in this way drives results faster and farther than if each company were to act on its own. The geographic scale and coverage that comes with industry partnership can’t be emulated with siloed approaches. Companies considered to be supply chain leaders tend to be further along in their sustainability maturity due to their adoption of these practices that help them move beyond focusing on compliance and instead using sustainability to support their business goals. Take Johnson & Johnson and Nestlé as examples. Both companies, recognized by Gartner as having top supply chains, were recently cited as Sustainable Procurement Leaders for their supply chain stewardship. Sustainability and competitive advantage go hand-in-hand and require procurement to take their practices to the next level, with sustainability strategies that educate, engage, guide and measure performance at each step along the way.